Nicholas Tan 3 months, 2 weeks ago. Good news. 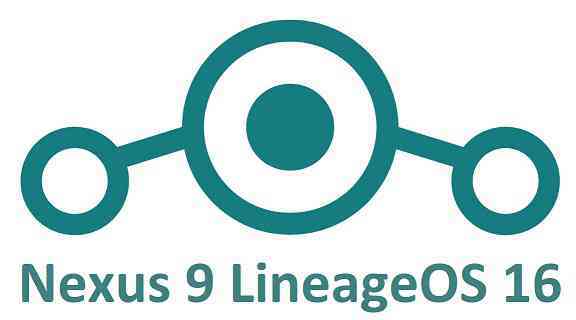 You can now download and install LineageOS 16 for Nexus 9. Here is how to install LineageOS 16 on Nexus 9, with a step-by-step guide. This Nexus 9 LineageOS 16.0 build is brought to you by developer HashBang. THIS IS AN INITIAL BUILD OF Nexus 9 LineageOS 16 WHICH MAY HAVE MINOR BUGS. Installing a custom ROM may require an unlock bootloader on Nexus 9, which may VOID your warranty and may delete all your data. Before proceeding further you may consider backup all data on the phone. Download and Copy the LineageOS 16 Gapps and the Nexus 9 LineageOS 16 Android Pie ROM ZIP file to your phone. Boot into the TWRP custom Recovery to install this LineageOS 16.0 on Nexus 9. Install the Nexus 9 LineageOS 16 ROM file that you have copied into the phone. Reboot and Enjoy the Android 9 Pie LineageOS 16 on Nexus 9. Install the LineageOS 16.0 ROM for Nexus 9. If you don’t have GApps after upgrading the LineageOS 16 on Nexus 9, then flash the GApps. If you don’t have ROOT after upgrading the LineageOS 16 on Nexus 9, then flash the SuperSU or Magisk or the Lineage SU binary. Once everything is done, reboot and Enjoy the LineageOS 16.0 on Nexus 9. Complete the initial setup and enjoy Android 9 Pie with LineageOS 16 on Nexus 9. Stay tuned or Subscribe to the Nexus 9 (flounder) LineageOS forum For other Android Pie, Android Oreo ROMs, Nougat ROMs, or other ROMs and all other device specific topics. I flashed the ROM and on the first boot I got the “To start android, enter your password” screen. I saw people were saying type in “deafault_password” to get through this, but the system was freezing after a few seconds. The next solution I saw was to Format Data using TWRP. Now when I boot, the system freezes as shown in the attached image. Now when I return to TWRP I get a “Mount Decrypt Data” “Enter Password” screen. I’ve been hitting cancel and I have tried formating the data again in TWRP, but that doesn’t help. I thought I might sideload a different custom OS, but ADB sideload also isn’t registering. Edit: I was able to go down to lineage os 15. Wanted to delete this post but can’t see that option. Thanks. Just tried this ROM ( from flounder 15.1 ) and it reports ERROR 7 while installing. It could just be a TWRP issue. Can you tell me what is the TWRP version are you using and is it an OFFICIAL or unofficial TWRP build? Its TWRP 3.0.2-1 and I assume it is official, I just downloaded it from the TWRP list and was the latest at the time about a year ago. I have installed most Lineage 15.1 ROMs with it. After wiping all but “Internal Storage”, I then proceed to install the ROM and get ERROR 7 within a few seconds. After that there might be many changes, so it is always recommended to try with new TWRP. I see the new TWRP for Nexus 9 is somewhat 3.2.3-0 or so. Now using flounder TWRP 3.2.3-0 and the ROM loaded and I rebooted. and a keyboard, but then everything is locked up. I do not have a password !!! Edit: After two ‘Factory Reset’s the keyboard was responsive for a few seconds, I managed to type in a random password, but then am told unsuccessful and need to do a factory reset and it all repeats. If I do not type anything in first second the keyboard locks up. The Nexus make a thumping sound once or twice just after boot up. The same thing happened to me. It would give me a few seconds to type then freeze. I saw people saying type in “deafault_password” to get through this, but the system was freezing after a few seconds. The next solution I saw was to Format Data using TWRP. That got me past the password screen, but the device would freeze on the home screen shown in my original post. Also, at this point when I would return to recovery I would see a “Mount Decrypt Data” “Enter Password” screen. I would hit cancel and try formatting a few more times. The next thing I tried was flashing the rom rebooting into recovery and then flashing gapps before the first boot. This seemed to stop the freezing, but then I got an a continuous error that pixel set up had crashed. At this point I gave up and installed Lineage 15.1 instead. Thanks at least the problems are consistent, I saw your first post and hence tried the password but only got to ‘f’. Maybe we should wait for next tip from shibaa987. Boot into Twrp and under Wipe you’ll find FORMAT DATA, not wipe data.. Format the data and the rom will boot . Note that you’ll lose everything from you phone, so it’s good to save files on pc before, if you have something important..